First, let’s start out with busting some hype I’ve seen on the local TV news stations recently. January and February are two of Denver’s drier months. TV stations, websites and newspapers do this because they advertise to make money. They put headlines up like this to drive traffic and views so their advertisements make money, they answer to investors and corporations. 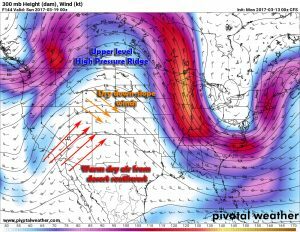 The good news is, Mountain Wave Weather has no investors, no corporation behind it no one to answer to. We just do weather, without the hype and the B.S. A Dry Start to March is Not Unusual! 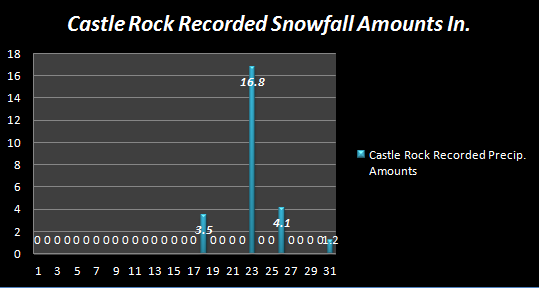 As we approach the middle of what is usually our snowiest month we have yet to see any snowfall in the Castle Rock area or along the Palmer Divide. A lot of folks are quick to jump to the conclusion that since we haven’t seen any snow yet and it’s been so dry this winter that our spring and summer will be very hot and dry as well. I can assure you, we have had plenty of dry marches followed by wetter springs, it happens all the time. 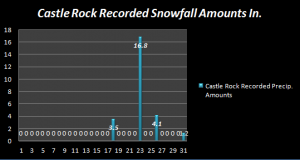 March 2016 snow statistics for Castle Rock, Colorado. 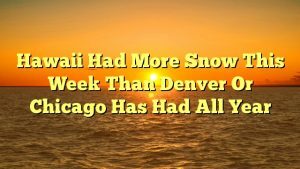 The first entire half of the month saw no snowfall whatsoever, it was only towards the end of the month that we saw troughs begin to move through the state and bring snowfall. This started with a small storm towards the middle part of the month, followed by a large “blizzard” type snowstorm on the 23rd where the town saw 16.8 inches of snow fall accompanied by cold temperatures and high winds. Will This Happen Again This Year? If you take a look at the dominant upper and mid level patterns this month so far, they look very similar to this time last year. 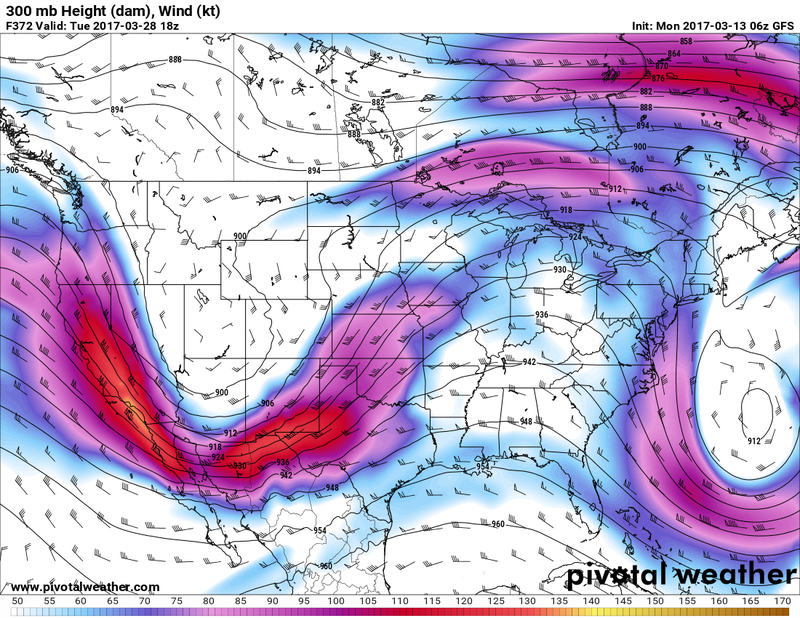 The shot below is a 300mb (upper air) model for this weekend March 18-19, 2017. This weekend features a very large upper level ridge over the Western U.S.
You can bet when you see a ridge that pronounced that we are due for very warm and very dry conditions. Some models have the front range of Colorado reaching the 80’s this weekend, that’s something we’ll keep an eye on. By the second half of the month last year, we began to see more troughs digging far enough South to make an impact in Eastern Colorado. The first of these series of storms was relatively weak and only dropped a few inches of snow across the area, but the second storm was a doozy! This set up an extended wet period into April and May that saw several months with above average precipitation. Looking at the long range models we notice a definite pattern flip towards the very end of the month. Large troughs begin showing up towards the end of March on most models. The main point of this entire article is to remember not to write off our entire spring based on one dry month. It’s easy to assume with the wind and fires going on right now that we will continue to see this into spring but there is no guarantee that will happen. Expect warm and dry conditions for at least the next 10-15 days across the Palmer Divide region. Temperatures will generally be in the 60- and 70’s with some chance for 80’s. This is something we will keep a close eye on as it’s not yet set in stone. It is promising to see this on the models though going into April. 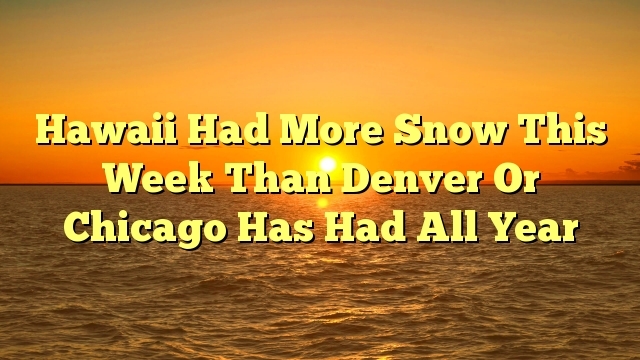 Large, drought-busting snowstorms are too far out to predict now! All we can do is keep an eye on the models especially as we get closer to the end of the month. So regardless of what you hear on TV or the internet… it’s not time to get concerned just yet about a dry and hot spring and summer season.